Driving Merton’s interest in Zen was his belief that most Christian traditions had become so focused on ritual and dogma that they had forgotten about the quest for understanding and having a true personal relationship with the ultimate source of that knowledge. 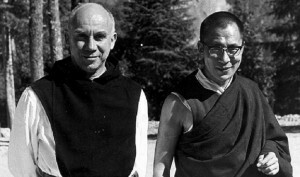 In both his writing and his own spiritual journey, Merton embraced the fundamental Buddhist concept that there is no one perfect path to enlightenment or salvation, and that each of us has to understand ourselves before creating our own unique journey. This idea does conflict with many Christian (especially Catholic) traditions, but not all of them. In 2015, my annual goal was to dive deeply into the history of the Bible, partly to assuage some family members concerned about my foray into Buddhism. I read about palace intrigue at the Vatican and in the early Church, mysterious sailors carrying fragments of scriptures to faraway lands, scribes with hidden agendas, and archeological finds that both confirmed and denied prior sets of beliefs. It was an enlightening experience. One of the subjects that came up in my research was the Gnostics. For most of the current era, the Gnostics were more commonly known as “those crazy Gnostics.” They had strange rituals and beliefs, only loosely associated with Christianity, which is why the early Vatican councils quickly discarded their scriptures and did not include them in the traditional Biblical canon. Then, in 1945, the Nag Hammadi texts were found and translated (interestingly, with financial support from none other than the noted psychiatrist, Carl Jung). The new texts supported some of earliest- known manuscripts that had been deemed too controversial by the early church to use in the Bible. They described a spiritual belief system far more aligned with traditional Christianity than originally thought, although there were still differences. One of the major differences was that Gnostics did not insist everyone must believe as they did. To the Gnostics, faith was an inner experience (the same as in classical Christianity), but it did not have to be the same for everyone, as long as it was grounded in individual investigation, introspection, reflection, and circumstance instead of ritual. In other words, faith is a dynamic process of seeking truth, not arrogantly declaring it. Sound familiar? Almost daily, I come across articles, questions, and comments about the “true path” to Lean and the supposedly correct sequence of methods required to accomplish a transformation. This misconception, along with not understanding the respect for humanity pillar, is what causes most Lean failures. Like the spiritual journeys of Buddhists, Gnostics, and Christians like Thomas Merton, when you are on your own journey, you must first seek to learn, understand, contemplate, and reflect on your circumstances and beliefs. Only then can you apply what makes sense to create your own path. Don’t simply accept what others say or copy what others do. If you are too obsessed with success, you will forget to live. If you have learned only how to be a success, your life has probably been wasted. 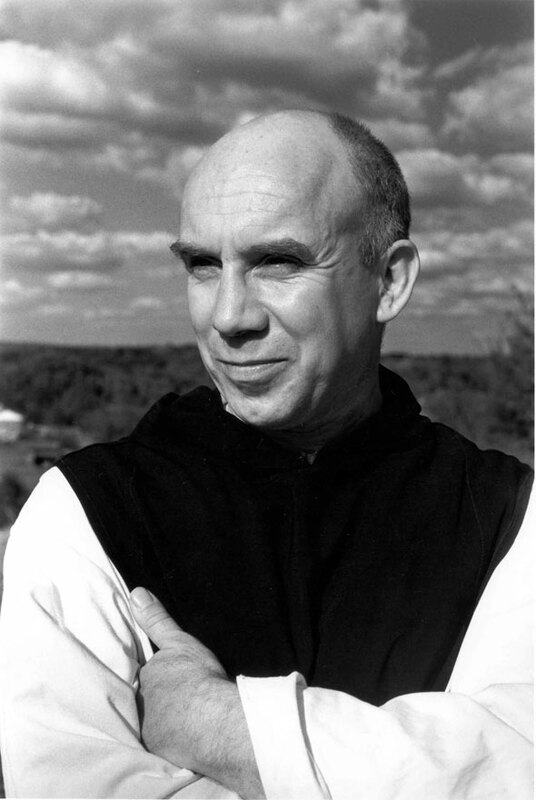 I was rather surprised when Pope Francis mentioned Thomas Merton in his address to Congress a couple weeks ago. I have learned a lot about Merton over the last decade while on a random intellectual quest that has included other seemingly unrelated modern day folks like Hernando de Soto and Mario Vargas Llosa – a Nobel prize winner who I happened to meet many years ago. Merton’s Thoughts in Solitude is one of my favorite books. More on Thomas Merton in a bit. First some background. People close to me know that for over two decades I’ve had an annual goal to “do or learn something radically different.” From this I’ve learned to windsurf and dive, ran a full marathon, rebuilt a ’73 Triumph Spitfire (which, admittedly, is like working on a lawnmower…), and skied five different countries over six consecutive days. In the mid-90s I taught myself HTML programming which turned into various projects that eventually helped create Gemba Academy. As I’ve become older the annual projects have become less physical and more intellectual, including a year-long immersion into Buddhism, with a trip to Bhutan. Just one of the 65 countries I have been to. Go and see… and learn. Perhaps to assuage the concerns of some family members who were concerned about that particular intellectual odyssey, this year’s goal is a deep dive into Biblical history. Not the stories and history IN the Bible, but a secular investigation of the history OF the Bible. I’ve read probably a dozen books written by respected scholars – from multiple perspectives since the historical accounts are far from settled. What an unexpectedly fascinating journey! Humor me for a couple paragraphs while I expose my inner geek. There are over 200,000 variants among 5,700 ancient Greek Biblical manuscripts alone, not even counting translation issues derived from them, created by the copying processes of amateur and professional scribes that were in some cases an attempt to please their benefactors and in others just plain sloppy. Most are minor and fairly inconsequential, but some aren’t, for example the last twelve verses of Mark and John 7:53-8:12 which are not found in any of the oldest manuscripts and are now assumed by scholars to have been added by scribes. Compounding the intentional and unintentional copy and translation errors was the process of deciding what went into the Bible. From hundreds of potential texts, through lists developed by high profile folks including a disingenuous ship merchant in the second century (a great story itself), to the synod of Hippo and councils of Carthage, Nicaea, and Rome in the fourth century where in some cases the politics of church control outweighed what was effectively an exercise in hindsight called the five guidelines of canonicity. Just when things seem settled, for better or for worse, there were the discoveries of the Muratorian fragment in the Vatican archives in 1740, the Nag Hammadi texts in 1945, and the Dead Sea scrolls in 1947 to both confirm and throw doubts on some of those early decisions. History, perhaps especially religious history, has a way of being filled with more intrigue and drama than any novel written by even the best writer. Without getting into off-topic details, I will say that this year’s quest has actually reinforced my own faith. Finding errors, and especially the process to understand the source of errors, can create authenticity. So let’s get back to Thomas Merton and the interesting connections between the dots – yes, eventually including Lean. I first came across Thomas Merton during my deep dive into Buddhism a few years back. I was surprised to discover a large number of Christian scholars and Catholic priests, like Merton, who openly embraced components of Buddhism. Merton went further than most, with deep study into the Zen tradition, which he discussed in Zen and the Birds of Appetite, as well as a book he co-authored with none other than the Dalai Lama, The Way of Chuang Tzu. At the core of Merton’s interest was his belief that most Christian traditions had become so focused on ritual and dogma that they had forgotten about the quest for understanding and a true personal relationship with the ultimate source of that knowledge. He embraced, both in his writing and his own spiritual journey, the fundamental Buddhist concept that there is no single, perfect path, and that each of us has to learn and understand ourselves before creating our own unique journey. That does conflict with many Christian and especially the Catholic traditions. But, as we’ll soon see, not all of them. Hence why it was remarkable that Pope Francis lauded Thomas Merton, a Catholic priest that believed in multiple paths to salvation and once said “I see no contradiction between Buddhism and Christianity. I intend to become as good a Buddhist as I can.” Wow. Allow me to add another dot. For most of the current era the Gnostics were more commonly known as “those crazy Gnostics.” Strange rituals and beliefs, loosely associated with Christianity, their scriptures quickly discarded by the early Vatican councils and not included in the traditional Biblical canon. Then the Nag Hammadi texts were found in 1945 and fully translated a couple decades later (interestingly with financial support from none other than the noted psychiatrist, Carl Jung), suddenly supporting some of earliest known manuscripts that had been deemed too controversial by the early church. Contrary to the prior perception of Gnostics, these newly-discovered texts described a spiritual belief system far more aligned with traditional Christianity than originally thought, with one of the major differences being they did not insist that everyone must believe as they did. To the Gnostics, faith is an inner experience, still generally aligned with classical Christianity, but one that does not have to be the same for everyone, and is grounded in individual investigation, introspection, reflection, and circumstance – as opposed to ritual. It is a dynamic process of seeking truth, not arrogantly declaring it. Starting to sound familiar? And this, finally, becomes the tie back to Lean. Almost daily I come across articles, questions, and comments about the “true path to Lean” – and the supposedly correct sequence of tools performed in the singularly correct fashion to accomplish a transformation. That misconception is what, along with not understanding the respect for humanity pillar, causes most Lean failures. Like the spiritual journeys of Buddhists, Gnostics, and many Christians like Thomas Merton, when on a Lean journey you must first seek to learn and understand, contemplate and reflect on how it applies to your circumstance and beliefs, and only then apply what makes sense to create your own path. Learn about Lean, create a relationship with the underlying knowledge of Lean, and apply it based on circumstance, data, and beliefs. Don’t simply accept what others say or copy what others do. Learn and experience new things. Live. Create dots. If you create a lot of dots, sometimes interesting connections can be made. The other day while skimming LinkedIn I came across yet another one of those cheesy quotes that, unfortunately, have become all too common on the site: “Surround yourself with people on the same mission.” I proceeded to get into an online discussion with several people who have probably never held a serious leadership position in their careers. I should have known better, or maybe I’ve just spent too many decades in the trenches. This concept has bothered me for many years, back to when I first read the similar concept floated by Jim Collins of “get the right people on the bus” with the corollary of “get the right people in the right seats.” I’ll give most of you a couple minutes to finish genuflecting since I mentioned the name Jim Collins. Many of you probably still do the same when someone utters the name “Jack Welch,” even if you know of his ridiculous hypocritical postulations on the value of people. The turkey. Jim Collins’ metaphor is well-intended, but often misinterpreted to mean that everyone must be perfectly aligned and think the same. Similarly, the statement of “surround yourself with people on the same mission” is misinterpreted to mean that everyone must be looking forward and following the leader… even if she is leading the flock off a cliff. In my experience the people that have helped my organizations progress the most, capitalize on the unique opportunity, or address the hidden underlying issue, are those that are a little different – a little out of line. I’ve often vehemently disagreed with some of them until I stopped to think about their perspective. Then I, and others on my staff, found value. Yes there is a fine line between being a contrarian with a unique perspective and someone who is simply negative – and perhaps destructive. It’s definitely more difficult to lead an organization with such people, and it can be frustrating to others in the organization. The natural human desire is to have a calm, positive, aligned environment. Kumbayah… off a cliff. I’d argue that such unquestioning alignment is even more dangerous that the potential impact of a contrarian crossing the line to destructive negativism. Opportunities may not be discovered, and risks identified and addressed. Organizations that try to root out troublemakers and politicians and scientists that try to squelch debate by calling something “settled” do so at their own risk. Lo and behold, the world is not flat. A scene in the recent movie World War Z was intriguing along these same lines. We are surprised to learn that Israel is already prepared for the highly unlikely zombie outbreak thanks to a concept called “the tenth man.” Basically when nine people on Israel’s intelligence directorate (AMAN) are convinced of one direction, it is the responsibility of the tenth to investigate and find facts to argue the opposite. Just a movie? Actually no. The Brookings Institution documented this leadership strategy in a 2007 paper titled Lessons from Israel’s Intelligence Reforms. An interesting read on many levels, believe it or not. First, in order to make sure that different and opposing opinions are heard within the Israeli intelligence community, AMAN has a culture of openness, where individuals are expected to voice dissenting opinions. The organizational slogan that reflects this openness is, “Freedom of opinion, discipline in action.” AMAN has two other tools that promote diversity: the “devil’s advocate” office and the option of writing “different opinion” memos. Sorry about the long excerpt, but it’s valuable. The Israelis aren’t the only ones to embrace this concept. The term “Devil’s Advocate” actually came from none other than the Catholic Church. The formal term was “Promoter of the Faith” and the position was created in 1587 to provide an intentional dissenting perspective when discussing whether to grant sainthood. Their job was to make an argument for why canonization should not occur. The position and practice was abolished by Pope John Paul II in 1983. Interestingly, there have been an unprecedented number of canonizations and beatifications since then, including Pope John Paul II. So what do you do with people in your organization that bring up alternatives, especially in a constructive way? How about those that may not be as deft at doing it in a constructive manner? Do you kick them off the bus? Or do you find them a seat, working with them so they understand how to still be constructive and respectful, realizing that they are potentially one of the most valuable parts of the organization? Alignment of mission and being on the same bus does not mean that everyone must always agree. In fact, it’s best if they don’t.